AAMA is comprised of a variety of companies, including window, door and skylight manufacturers, component and supply manufacturers, service and consulting companies. They are companies of all sizes. AAMA has become recognized around the world for the development of standards that provide third-party validation of product performance and quality. AAMA standards are developed in response to the needs of our member companies to solve critical issues in the industry. The attributes of color and gloss are utilized to determine how well a coating will withstand harsh environmental conditions. The primary factor in maintaining a coatings color and gloss is the chemistry of the binder used within the coating formulation. The ability of a coating to withstand harsh environmental conditions is tested by exposing coatings to the heat and humidity conditions of South Florida. Powder coatings formulated with standard polyesters will lose 50% of their gloss between 12 and 24 months of South Florida weathering. Products formulated with standard durable polyester binders can pass the AAMA 2603 specification. Powder coatings manufactured from polyesters synthesized with isophthalic acid as the sole acid, inherently yield extended exterior durability over standard polyesters. Comparatively, while powder coatings formulated with super durable polyesters require approximately five years of exposure before 50% gloss drop is observed. 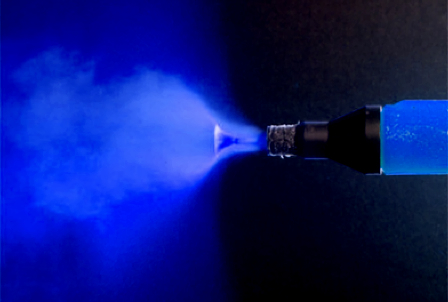 When properly formulated, ultra violet stabilized super durable powder coatings can pass AAMA 2604 specification. Powder coatings manufactured from fluorocarbon polymer resins exhibit the greatest exterior durability. These fluorocarbon polymers are inherently resistant to moisture, weathering, ozone and ultra violet light radiation. 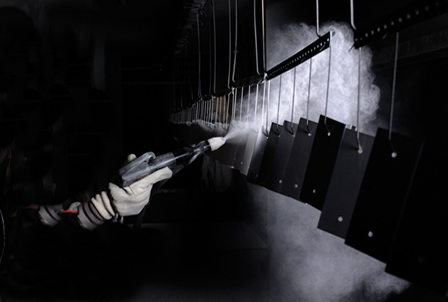 Powder coatings manufactured from fluorocarbon polymer resins exceed the requirements of AAMA 2605.